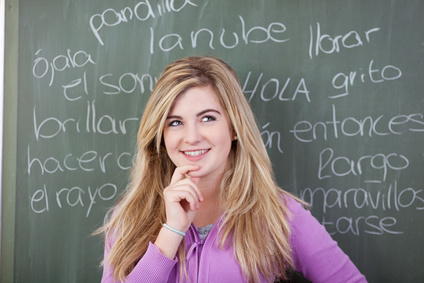 You’d be surprised how many students of a foreign language do not want to know about the verbs and yet, without them, you can’t make sense of a communication. And, while we all know about the past, present and future, there may be more than one category of each. Look no further than ‘I am going to’ and ‘I will’ for the future tense and ‘I went’ and ‘I was going’ when talking in the past tense, two different ways of talking about what you plan to do in the future / did in the past but each with its correct usage. So verbs are very important indeed and, while there seem to be lots and lots of them in the Spanish language, once you get to understand the pattern of its verbs, they become easy and comfortable to get to grips with. And this is where going on a course makes sense, because you can see what is known as the ‘conjugation’ of each verb (e.g. I go, you go, he goes, they go etc.) laid out in front of you and you can practise in class, before going out there and doing it for yourself. Companies like UniSpain get to know their eager prospective students, to make sure that each and everyone finds the right level to begin their learning. I don’t know if you have been in a classroom where it is very obvious that everyone else knows more than you and you want to escape that room the first chance you get. It’s a horrible feeling which really knocks your self-confidence, so getting the right level for you is so very important. Once on the right course, you’ll be able to interact with your peers and, as they say, ‘time flies when you’re having fun’, as that good feeling makes it easier to learn. So start off on the right foot. 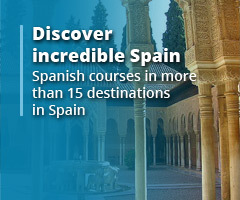 The staff at Unispain are able to find not only the right course for you but are also able to find that course in a number of locations throughout the country e.g. Malaga, Madrid, Barcelona and Salamanca. These experts can do all of the setting up for you e.g. 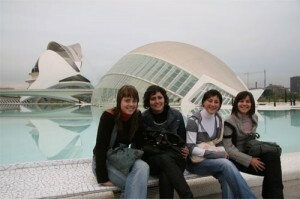 accommodation, course and free time cultural trips and each of these points will play a big part in your learning curve. Accommodation. Do you like to share your space with others, or are you a private person? 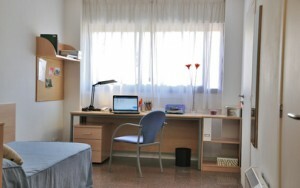 Would you like to be in a shared apartment, with a host family, or on your own? The course. Are there any specific conditions which will make the right course more suitable to your personality and needs? Maybe you are gregarious by nature and would love to be in the thick of it, or maybe you get ruffled by crowds and prefer to be in a class with only a few other pupils. Free time cultural trips. Hands-on experience is always a good thing in any kind of learning, as it lets you learn from the experts and also allows you to learn from your own mistakes. Knowing the right places to go is something you learn with time, so having someone who prepares this in advance for you really is worth a lot. As is true with every purchase, you get what you pay for. 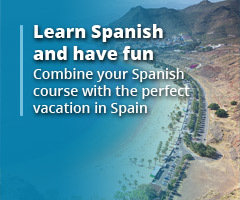 Getting the right support in Spain for that all-important course is indeed an important purchase and goes a long way towards future success.